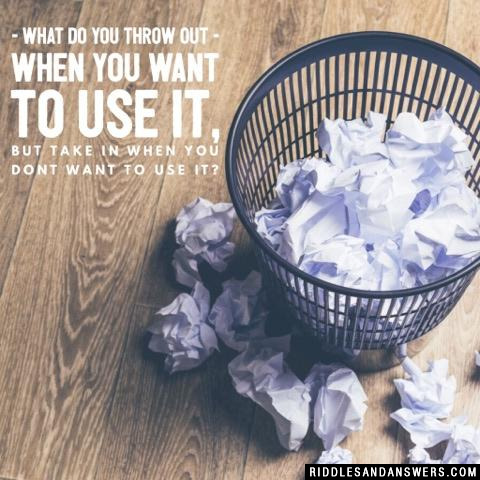 What do you throw out when you want to use it, but take in when you dont want to use it? You drop me when you want to stop and lift me up when you want to go. What could I be? Can you come up with a cool, funny or clever Anchor Riddles of your own? Post it below (without the answer) to see if you can stump our users.